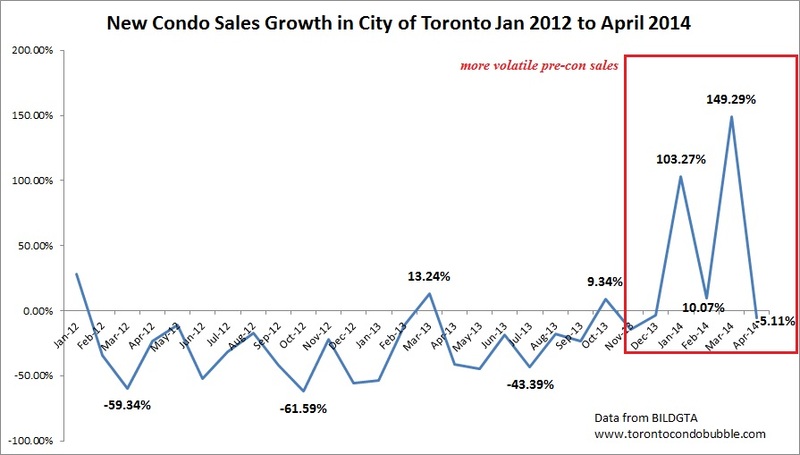 Pre-construction condo sales in the City of Toronto were down 5% in April 2014 versus a year earlier (down 47% compared to April 2012). 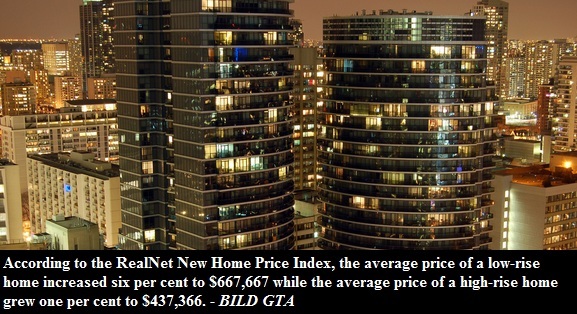 In the GTA new condo sales were down 19% versus a year earlier and 51% versus two years ago. For now it may appear as if this is a "soft landing". 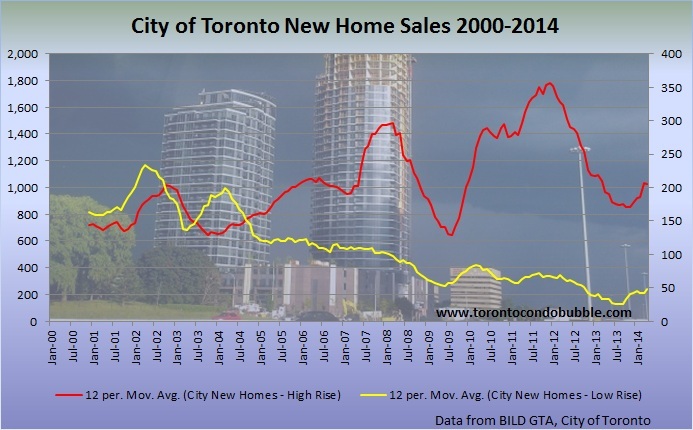 Yet, I do not expect a soft landing for the condo market in Toronto. 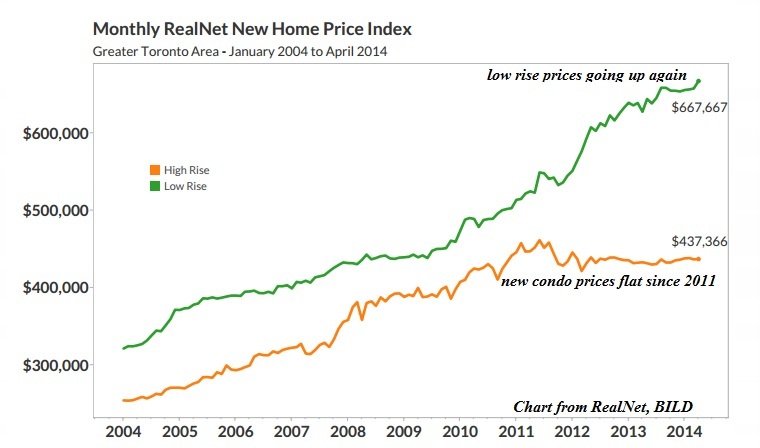 In my view condo prices will be down at least 20% from the peak in real terms. So far new condo prices declined about 6.4% from 2011 (adjusted for inflation). 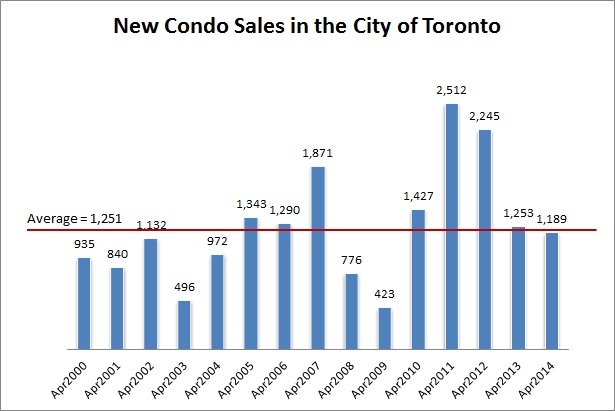 Below is a historical perspective of new condo sales in the City of Toronto. As you can see pre-con sales were just below the 14 year average in April 2014. 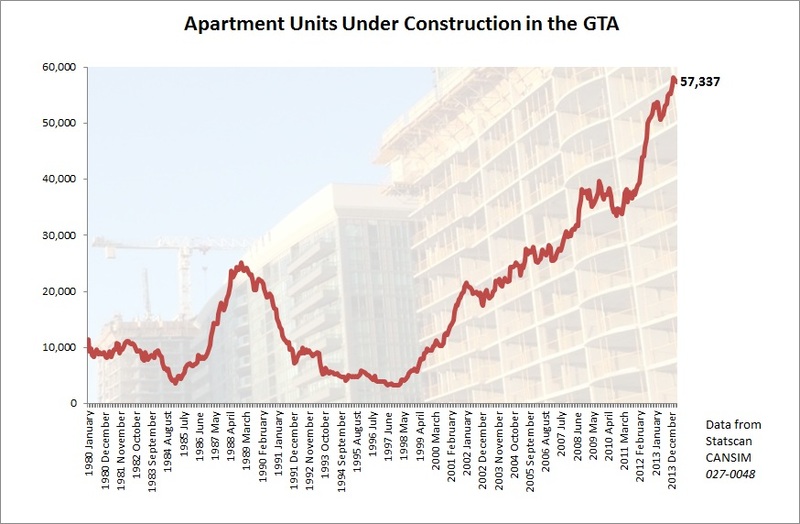 Below is the updated graph for the number of apartment units (both rental and condos) under construction in the Greater Toronto Area. Note that most of the apartments under construction are condos.